SASQUATCH IS COMING TO THE ILLINOIS VALLEY!!! We are featuring people who claim to have ACTUALLY SEEN SASQUATCH, as well as famous Sasquatch researchers who will be sharing stories of their Sasquatch encounters!! Come ready to participate in our Sasquatch Costume Contest and our Sasquatch Howling Contest. 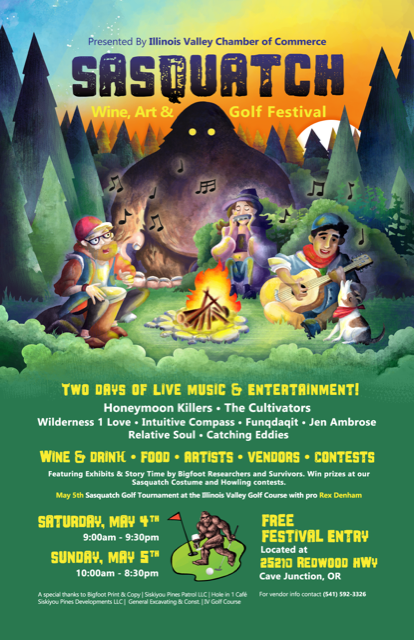 One thing for certain - The Sasquatch Wine, Art & Golf Festival is going to be a lot of FUN! 11:00am - 11:30am Jack Falls-Rock .50 hour Native American song and blessing from our friend Jack, now living in the Shasta area. 3:00pm - 4:00pm Intuitive Compass 1.0 hours Purveyors of “Original Western Folk Music”, Intutive Compass offers a timeless sound, invoking a musical America of the past with a modern and unique spin. 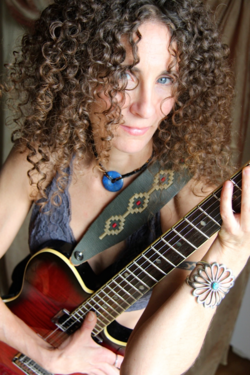 1:00pm - 2:00pm Jen Ambrose 1.0 hour Southern Oregon Singer Songwriter, featuring guitar, flute, vocals, and loops. 3:00pm - 4:00pm Relative Soul 1.0 hour Father and daughter team up on original and classic soul, folk, and blues songs, with beautiful vocals accompanied by guitar and ukulele. 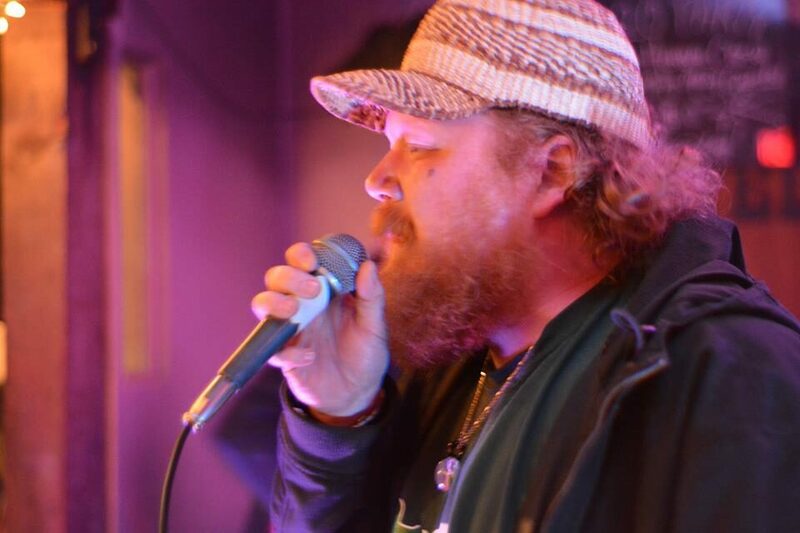 4:30pm - 6:00pm Catching Eddies 1.5 hours An eclectic mix of blues, bluegrass, traditional, rock classics and other obscure covers. 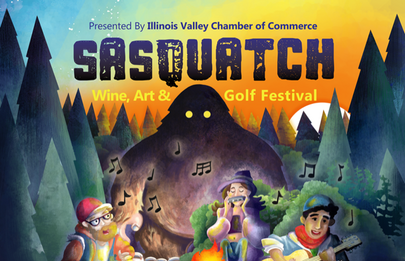 Have Your Business Showcased at the Sasquatch Wine, Art & GolfbvFestival and Other Chamber Events! 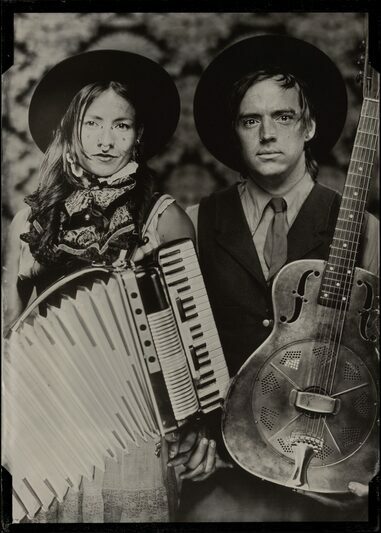 Purveyors of “Original Western Folk Music", Intuitive Compass offers a timeless sound, invoking a musical America of the past with a modern and unique spin.